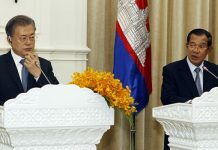 Prime Minister Hun Sen and UN Secretary-General Kofi An­nan met at a UN summit this week but did not continue negotiations on how to try former Khmer Rouge leaders, Minister of Cabinet Sok An said on Thurs­day. He instead briefed reporters on the summit and said developing countries expressed frustration at waning support from more developed nations. 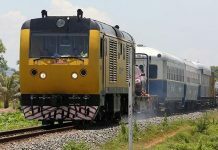 For instance, in 1992, developed countries gave an average of 33 percent of their natural re­sources to developing nations, while this number dropped to an average of 22 percent by 1997, Sok An said. He said Northern European coun­­tries were praised at the sum­­mit for holding to their prom­ises of assistance. 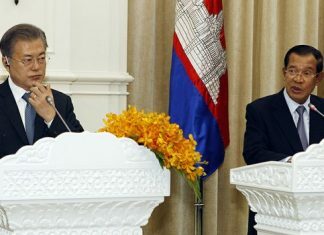 “But a number of other nations have not followed through on their promises,” he said, adding that delegates took notice of Cambodia’s strug­gling economy. The summit drew roughly 20 heads of state, mostly from Africa, and 94 national delegations, according to Kyodo News. The Cambodian government is counting on UN and foreign as­sistance to try former Khmer Rouge leaders, but has been re­luctant to relinquish too much con­trol over the proceedings. The government and the world body for two years have wrangled over how to conduct the trial. Annan’s top legal staffer, Hans Corell, will be in Phnom Penh July 5-6 to put in writing a verbal agreement reached in recent months. The visit will mark the third time since August that a UN delegation has come to negotiate the trial. Observers had expected a vis­it in March to be the last. Once the agreement is put on paper, the National Assembly is like­ly to debate the plan—in the form of a draft law. If the law is passed and conforms with agreements made with the UN and the government, the two sides will sign a formal agreement to begin the trial. Speaking to reporters at Poch­entong Airport on Thursday, Sok An said he could not predict how soon this will all happen, and said both the government and the UN recently have been “busy” with other matters.